The ‘immigration crisis’ in Europe continues to worsen as a result of Western-instigated chaos in the Middle East and African countries. Several EU nations are facing a drastic influx of desperate people, with little resources available to help them. 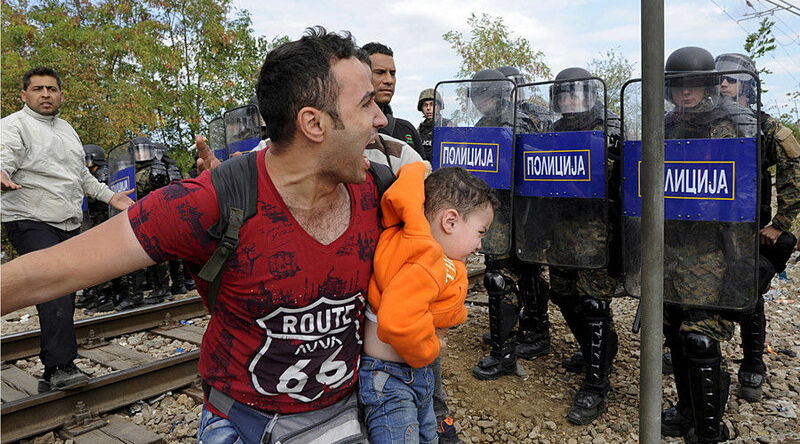 Approximately 39,000 migrants, mostly Syrians, passed through Macedonia in July – twice June’s figures. This is an alarming number and Macedonia is running out of trains to transport these people onward to the European Union. Not that they will fare much better there. On Thursday the country declared a state of emergency and Macedonian police used tear gas and stun grenades against these desperate people, injuring several. The border has been sealed with razor wire around the town of Gevgelija, where approximately 3,000 to 4,000 people, including children, are stranded. Is this how desperate men, women and children from Syria, Afghanistan, and Iraq – countries that have been ravaged by NATO’s wars of aggression – should be treated by NATO member states? Several people were injured when hundreds of men, women and children tried to board a train to Serbia, the nearest country to the European Union (EU) member-state of Hungary, at the station of Gevgelija in Macedonia, Friday. The number of refugees trying to cross through Macedonia is expected to increase as the number entering Greece continues to grow. 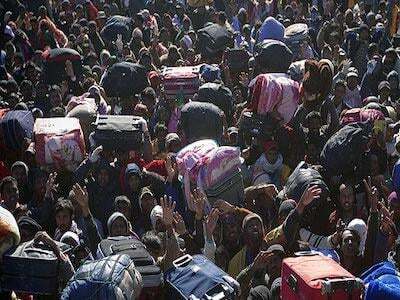 Around 21,000 refugees arrived in Greece just last week, that’s 50% of all migrants who entered the country in 2014. Since the beginning of the year, Greece has received 160,000 migrants, according to the UN Refugee Agency, a 750% increase compared to the same period in 2014. A migrant reacts as he carries a child during clashes with Macedonian police at the Greek-Macedonian border, August 21, 2015. In response to this human deluge, Greek Prime Minister Alexis Tsipras asked the EU for help. “Now is the time to see if the EU is the EU of solidarity or an EU that has everyone trying to protect their borders,” the Greek PM said after a meeting at the Interior Ministry in Athens on Friday 7th August. “The immigrant flow to Greece is beyond what our state infrastructure can handle … We have significant problems and that’s why we have asked for help from EU” he added. But Greece refuses to follow the official EU ‘fencing’ and anti-migration policy. In response to the above call from the UN, PM Tsipras said: “Greekswill do what we can to meet our humanistic obligation, by giving what little we have.” Greece, a country recently economically crippled by the greed of the psychopaths running the EU, is doing more with less than the rest of the EU combined, and shames them all. Periodically, I drive to Bekaa Valley to talk to Syrian refugees. I do it simply because it appears that almost no one else does. The UN docks its battle ships at Beirut port and it pampers thousands of its staff members on the entire territory of Lebanon. But the refugees, the victims of the war, are often neglected, even abandoned. 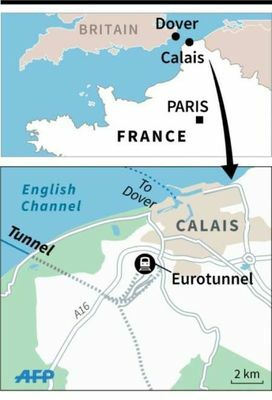 Approximately 5,000 immigrants – a five-fold increase since April this year – are in a refugee camp named the “Jungle” near the French port town of Calais. Hundreds of refugees have tried to enter Britain by boarding trains at the Eurotunnel terminal near the town. The gap in standards of living between Europe and Africa means there will always be millions of Africans with the economic motivation to try to get to Europe. Now that is not a sustainable situation because Europe can’t protect itself, preserve its standard of living and social infrastructure if it has to absorb millions of migrants from Africa. The pusillanimous Cameron also promised British holiday-makers that they will have a “safe and secure” holiday, because as everyone knows, starving and homeless immigrants forced out of their countries by British bombs are a clear threat to slovenly, drunken Brits languishing on Southern European beaches. Notice also the despicable hubris from Cameron and other British and EU politicians who try to spin the situation into one where the refugees are sitting in squalid camps in the North of France because the UK is such a wonderful place to live. The reality, however, is that these people would be only too happy to go back to their homelands and families. But they can’t, because psychopaths like David Cameron destroyed them. But the British and French criminal elite have a solution: instead of helping the refugees, 1,000 extra border guards will be stationed near Calais and a new fence complete with CCTV and infrared detectors will be erected. In total, Britain has pledged £22 million towards these security measures. That’s over £4,000 for each refugee spent on military equipment and personnel. The goal, it seems, is to keep refugees living in conditions not very different from those they fled. While most Western countries spend much time and effort on the pretense of being helpful, Russia has taken a more practical and productive approach, in particular towards the migration crisis in Serbia. Refugees travel through Serbia on their way to Western Europe, with approximately 2,000 migrants crossing the Serbian border every day. 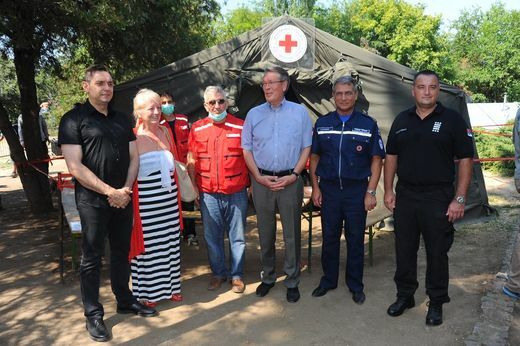 Russia has helped with setting up camps and has delivered equipment for accommodation for the migrants, including: diesel power stations, stoves, blankets and beds, enough equipment for around 1,000 people. Yet again, this illustrates that, while Western countries’ use stone-walling and aggression to ‘help solve’ the refugee crisis that they created, Russia helps by providing direct humanitarian aid to the people in need. These are genuine words that are rarely spoken, and much less often acted on, by the majority of the supposed leaders of the free and democratic world.